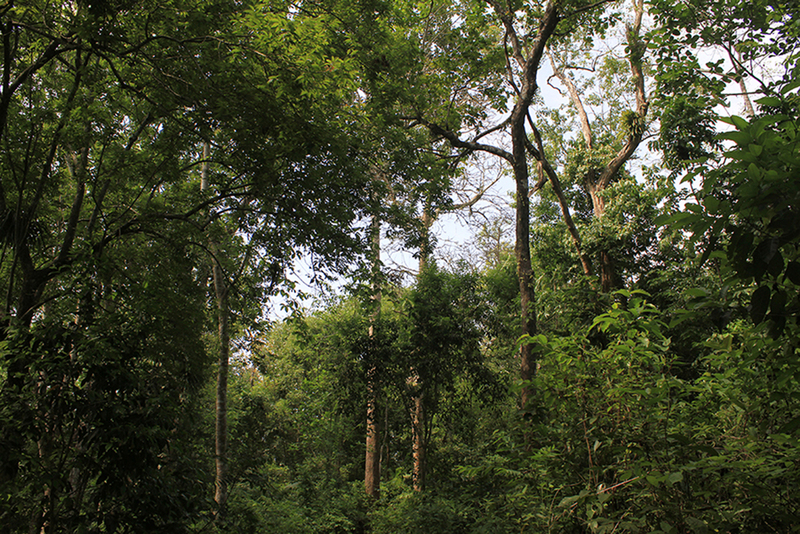 Rema-Kalenga Wildlife Sanctuary (RKWS) was established in 1982 and later expanded in 1996 to 1,795 hectares. 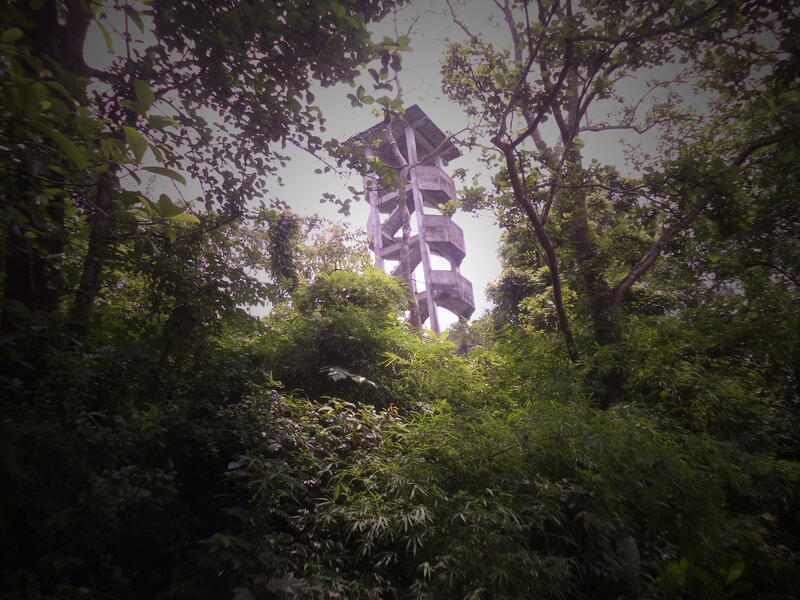 This Sanctuary is located 130 km north-east of Dhaka, in Chunarughat Upazila, in Habiganj District. 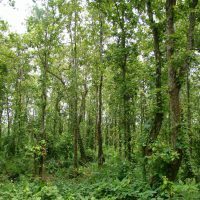 It is most easily accessed from Srimangal town, and its eastern boundary is the border with Tripura State of India. 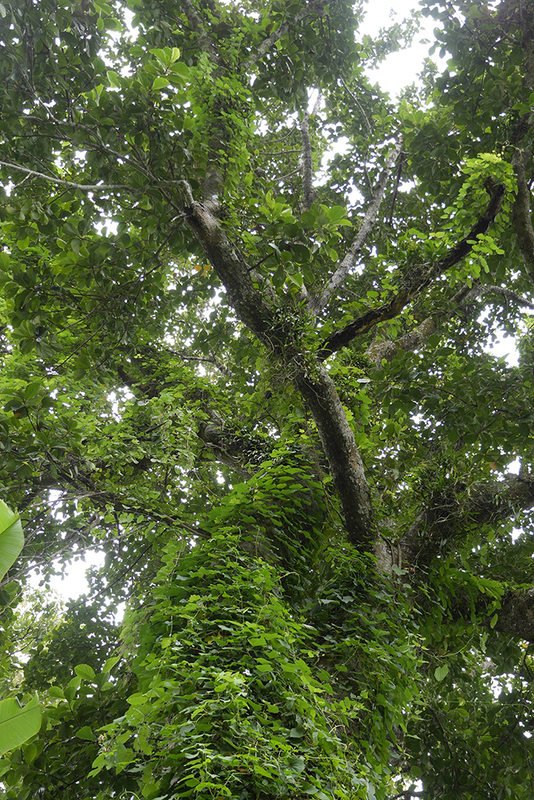 The remote and reasonably intact tropical forests of Rema-Kalenga make it of high biodiversity value. 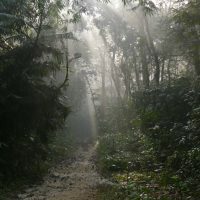 Notable mammals include threatened primates (Bengal Slow Loris, Assamese Macaque, Northern Pig tailed Macaque, Phayre’s Leaf Monkey and Capped Langur), endangered Fishing Cat, and nationally rare Black Giant Squirrel. 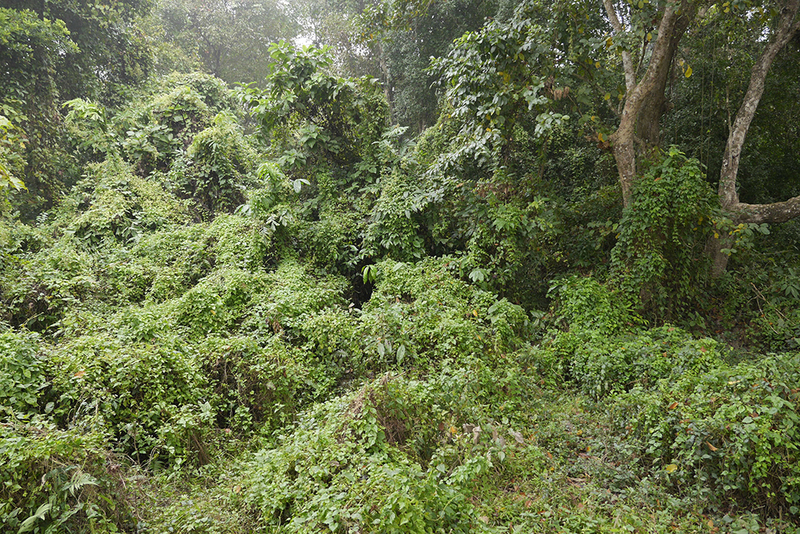 Sadly Leopard and Royal Bengal Tiger are no longer present, but were hunted here into the 1960s. 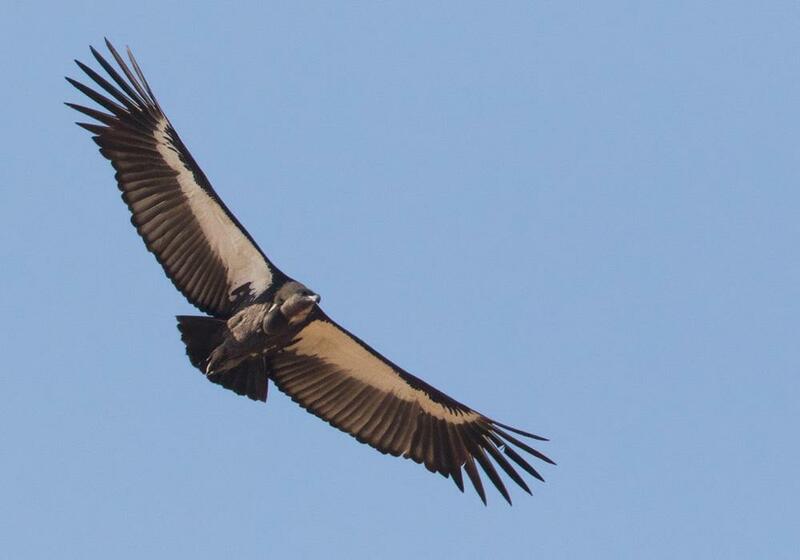 In addition to a wide diversity of forest birds, Rema-Kalenga holds a breeding colony of the critically endangered White-rumped Vulture, whose populations have been decimated since the late 1990s. 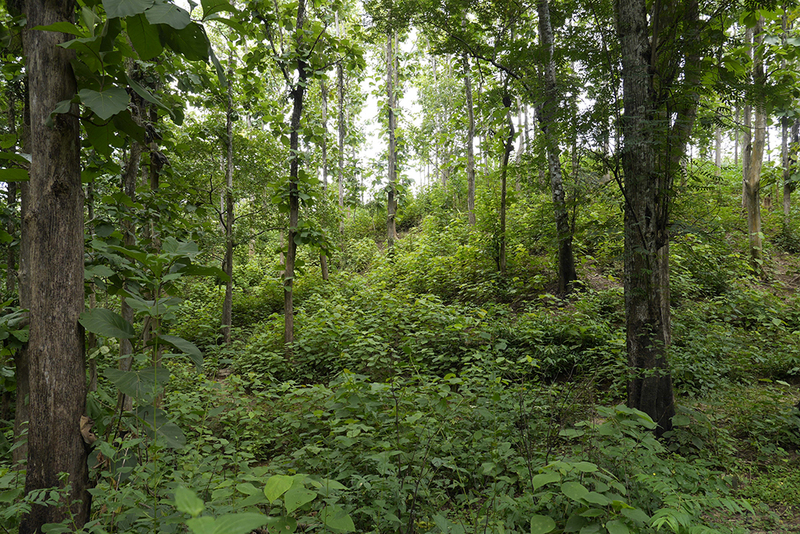 The Forest Department has designated a large area around and including RKWS as a “vulture safe zone”, and local communities are supporting the ban on lethal veterinary drugs. Around and inside the sanctuary four ethnic communities – tripura, shantal, telugu and urang communities-have lived for many years. 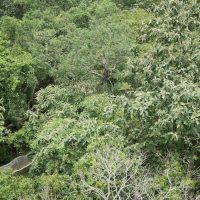 Although these communities are traditionally forest dependent, they are now diversifying and directly involved in protecting the Sanctuary. To the west and north of RKWS are picturesque tea estates. 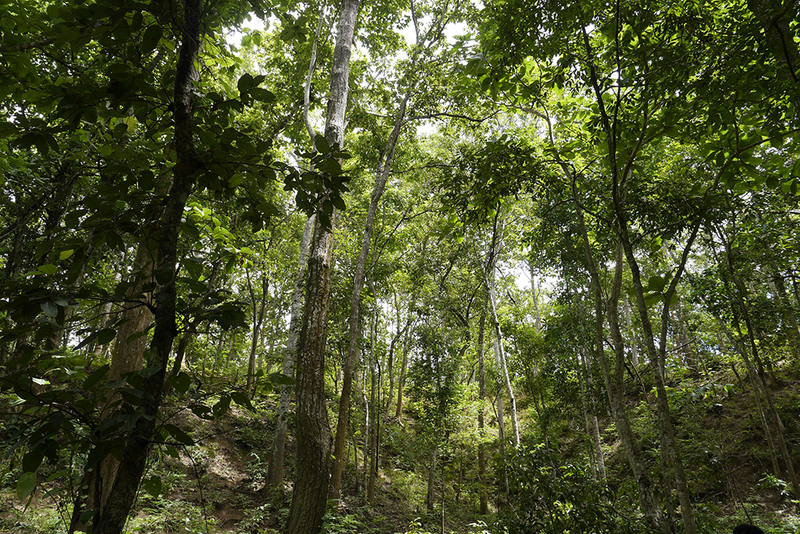 WHY IS REMA-KALENGA WILDLIFE SANCTUARY IMPORTANT? Please support Saving White-rumped Vulture (Gyps bengalensis) . This once familiar bird suffered a catastrophic 99% decline throughout South Asia since 1990 and it is now Critically Endangered. Vultures serve an important function scavenging carcasses, but a drug – diclofenac – used to treat livestock is fatal to vultures. 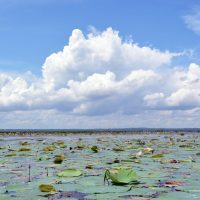 One of the last nesting sites in Bangladesh is protected in Rema-Kalenga and the communities here are enforcing the official ban on harmful veterinary drugs and promoting vulture safe drugs as part of a “vulture safe zone” declared by the government. 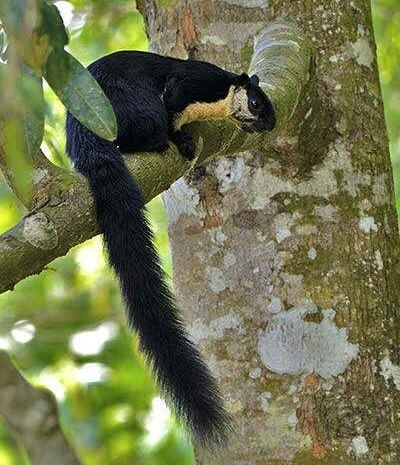 Over a meter long including its long bushy tail, Bangladesh’s largest squirrel lives high in the trees eating fruit, seeds and leaves. Mostly blackish maroon it has creamy underparts. It makes a big round nest of sticks in a tree. 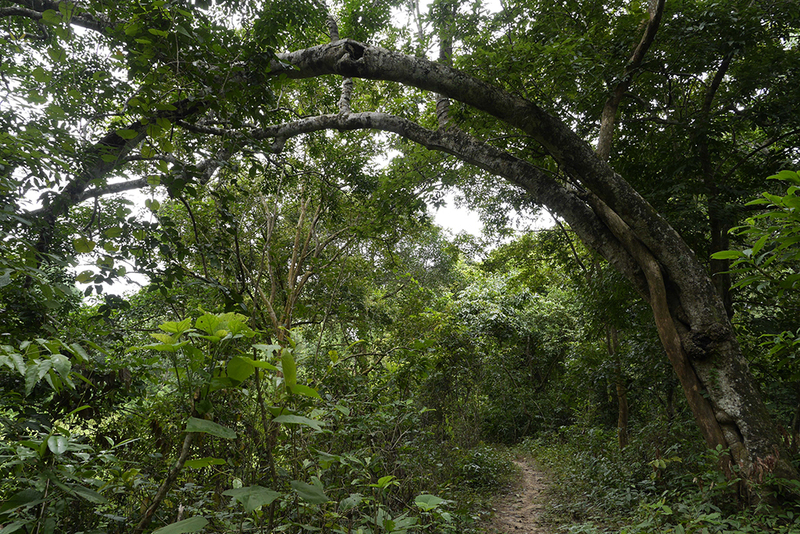 Rare and declining in Bangladesh where it is virtually restricted to Rema-Kalenga. Co-management here is helping to protect mature trees and the many creatures that depend on them including the giant squirrel. 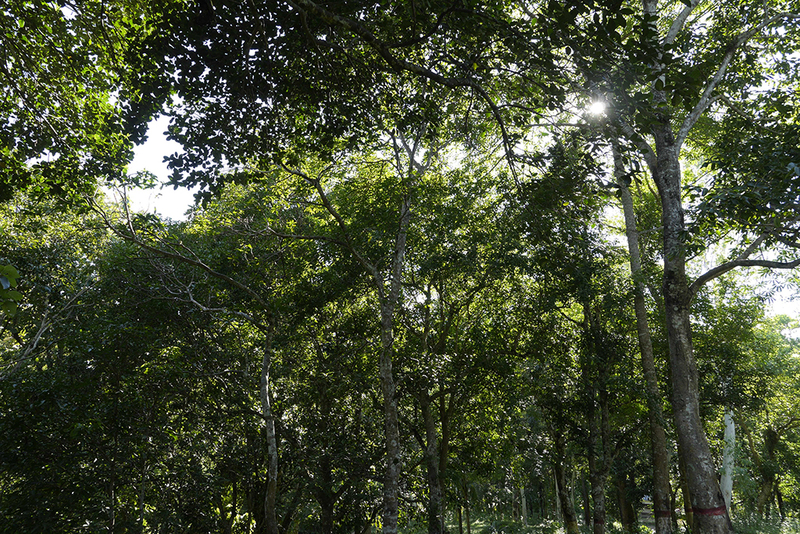 Co-management in Rema-Kalenga was established in May 2006 and is recognized through a Ministry of Environment and Forests order published in November 2006. 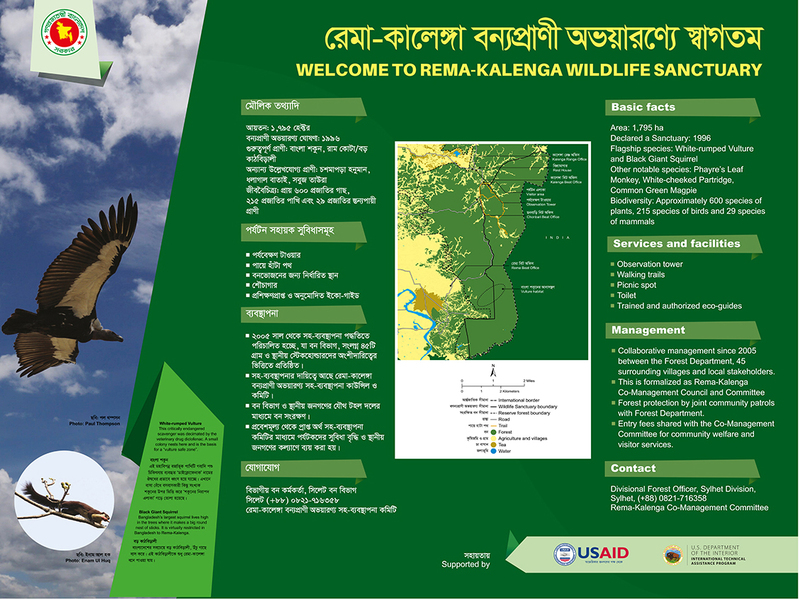 Rema-Kalenga CMC formally works with and includes Bangladesh Forest Department as well as all key local stakeholders including local government and of course representatives of the surrounding 45 villages, who are organized into a common forum. 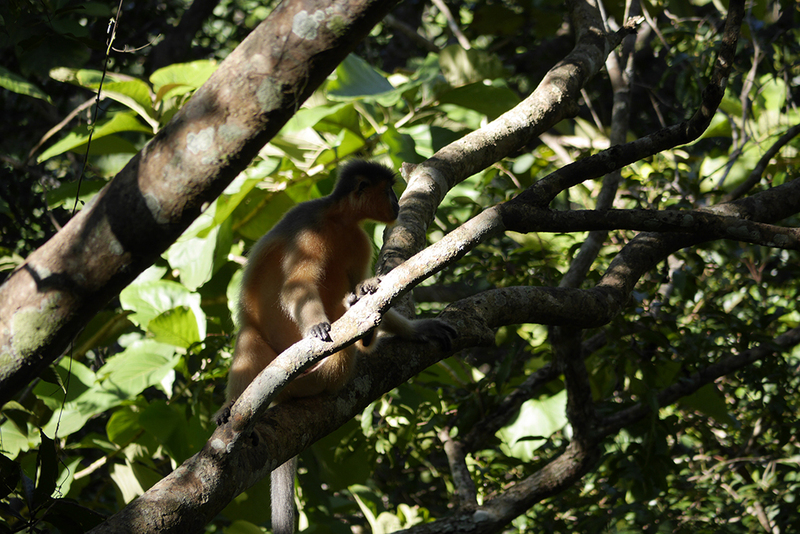 We protect the Wildlife Sanctuary and also promote sustainable land use and livelihoods among these villages. Please support our efforts to strengthen conservation. 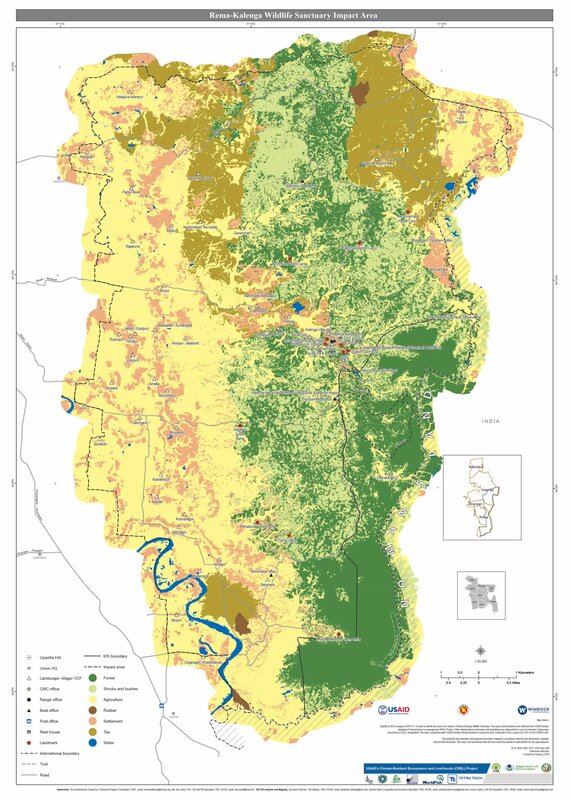 The work of Rema-Kalenga CMC and associated organizations involves local communities working with local government and Bangladesh Forest Department. These activities depend on support from grants and outside resources. Satchari CMC has a bank account (Pubali Bank Limited, Chunarughat Branch, Habiganj) and can receive grants from domestic sources. For international assistance, funds can be channeled through CNRS – a national NGO which has helped establish the CMC. CNRS is registered with Bangladesh NGO Affairs Bureau no 841. Its programs focus on Natural Resource Management.